BananaDesk gives you the toolkit to manage your hostel efficiently. Easy hostel management at your fingertips. 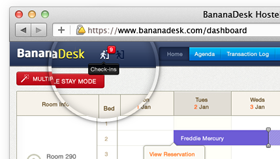 BananaDesk is the complete Front Desk Solution for only $1/bed/month. 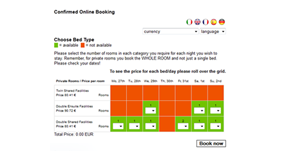 GoMio‘s Customized Reservations Page (CRP) allows you a quick, easy and hassle free way to sell beds directly to visitors of your website for only a low commission on the confirmed reservations. Managing different booking channels takes time. Update everything at once with Myallocator. Reduce overbooking and staff costs, improve ratings, advertise all inventory and sell across more channels.